Facing an attack from the Pakistani deep state, can Nawaz Sharif comeback? 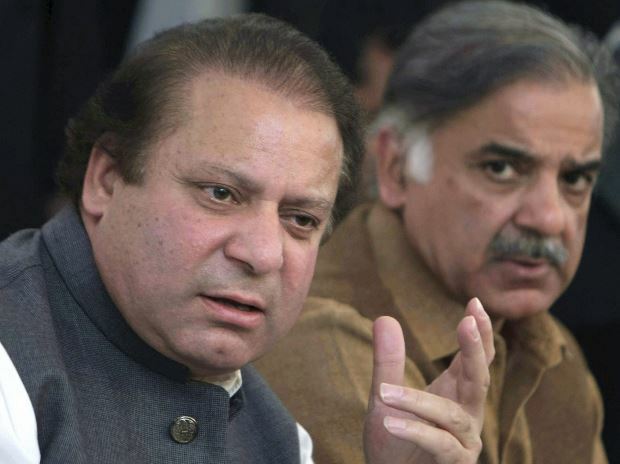 Judge Muhammad Arshad Malik of Islamabad-based accountability court last week reserved the judgment after completion of hearing in the Flagship Investment and Al-Azizia cases against 68-year-old Sharif. The Supreme Court set the deadline for Monday to wrap up the remaining two corruption cases against the three-time former prime minister. Sharif arrived in Islamabad from Lahore on Sunday, a day ahead of the verdict. He is expected to hear the judgement in the courtroom. Entry to the accountability court has been restricted. No one will be allowed to attend proceedings on Monday except those having permission of the registrar, the Dawn reported. PML-N workers have gathered outside the court premises to show their support for the party's supreme leader. Last week, the judge rejected application by Sharif's lawyer Khawaja Harris to provide one week time to submit more documents but allowed him to provide any document by Friday last. "Not a penny of corruption has been proven against meI am very happy that I have done my duty, and I think that since I have stepped in politics I have never indulged in corruption nor have misused my power," he said. Veteran politician Javed Hashmi on Saturday predicted that Sharif will be convicted in the Flagship and Al-Azizia case as "the institutions won't let these (cases) prove false".